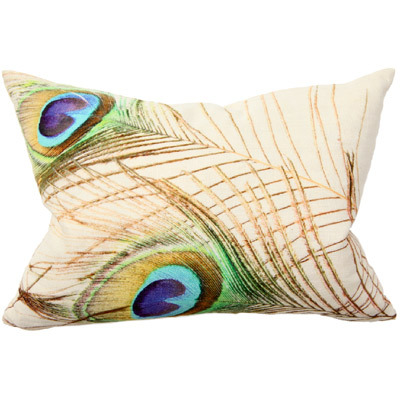 Enliven a room with modern chic as these decorative pillows add a dose of trendsetting color and inventive design. Peacock feathers in beautiful shades of blue, green and gold are stylishly screened on a white linen background. Sold as a pair, the down-filled pillows easily blend with other solids and patterns for an eclectic look on a sofa, chair or bed.